Move the F over Chappie! There’s a new enforcer in town! Devil Toys are back making high end 1/6 Scale Action Figures and giving you the opportunity to own their latest creation. 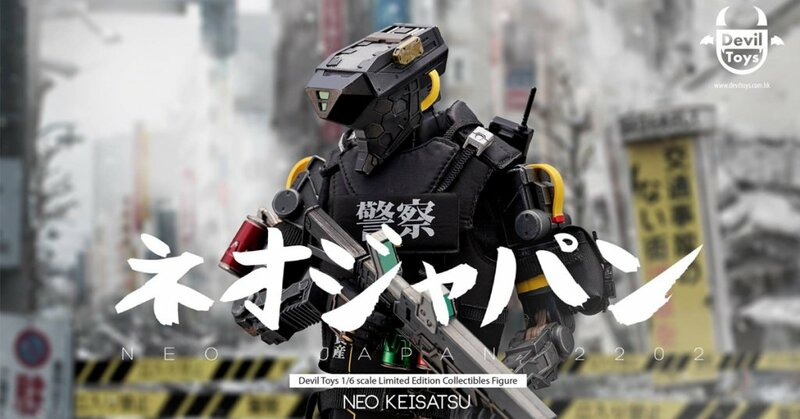 Meet Neo Keisatsu from The Neo Japan 2202, Devil Toys has added Light-up features within Neo Keisatsu! How fancy. No need to riot as pre-orders will start soon. (Hong Kong / Taiwan/ China) USD 180 with shipping.